A lovely and substantial gold pendant by New York jeweler, Joseph Merrin. 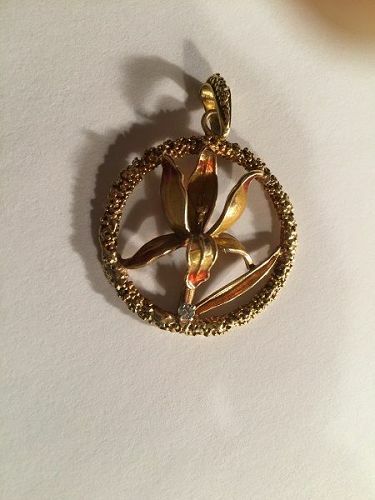 The pendant features an orchid with enameled tips,accented by a 2pt. diamond.Marked Merrin 18k, it weighs 8.4 grams,measures 1-1/2" round and hangs 1-3/4" including bale.